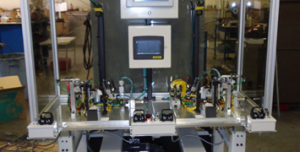 ID Engineering & Automated Systems is a machine builder/integrator with over 50 years of experience among the ownership alone. We opened in 2002, and carry a commitment to produce quality equipment and provide our customers with the knowledge to understand its operation and capability. With an extensive background in manufacturing, we understand what the industry demands in equipment with regard to quality, reliability, operator ergonomics, safety, human machine interface, process control, and certification of testing equipment. 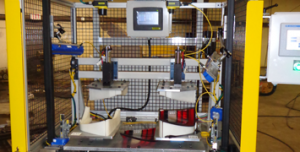 ID Engineering & Automated Systems offers 20,000 square feet of manufacturing floor — which allows us to build stand-a-lone equipment, as well as fully robotic work cells. We have one of the most loyal and committed employee bases anywhere; and the employee commitment to the core values of our company is truly a testament to our success. We believe in producing quality, turn-key equipment, with competitive pricing and on-time delivery. Copyright © 2019 ID Engineering.